A Dublin man who got chatting to a guy from Cork found it hard to believe he didn’t know his cousin in Limerick considering both men are from “down the country”. David Mullins from Finglas struck up a conversation with Tom Murphy in Mulligans pub in Dublin and immediately noticed the Cork man’s accent. A slightly bemused Murphy explained that he didn’t know anyone in Limerick and had no idea who Jim Molloy was which Mullins found hard to believe. Last year alone there were over 500 reported incidents of Dubliners asking someone from “the country” if they knew a friend or relative of theirs who was also from the country. But why? Research shows that people in Dublin are generally brought up to believe that Ireland’s population consists of two main groupings – Dubliners and a few hundred sheep farmers who all know each other well. Furthermore most Dubliners would never dream of venturing outside of the capital (fearing they might catch some kind of mad cow disease) and get their knowledge of what the rest of Ireland is like from watching films like The Quiet Man and Darby O’Gill & The Little People. 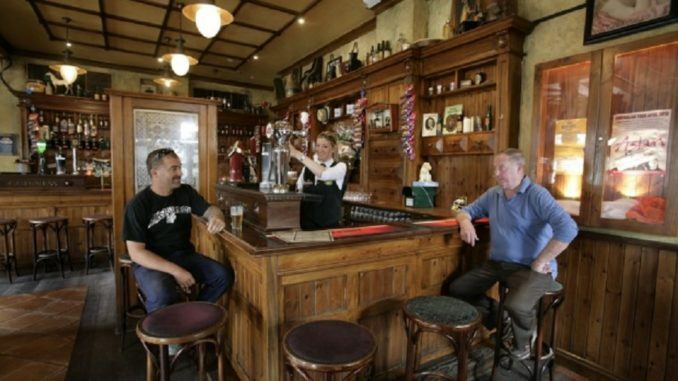 Meanwhile back in Mulligans, after being told repeatedly for over an hour that he must know Jim Molloy from Limerick and asked how he is, Tom Murphy eventually gave up, agreed with David Mullins that he does actually know his cousin after all and told him he’s dead.